Feel the power of the tank, hear the rasp of the metal when you load your cannon for another shot. You can destroy a massive amount of enemies just with one volley or crash any wall on your way. This little fella looks primitive, but still deadly and can stand a couple of explosions himself. 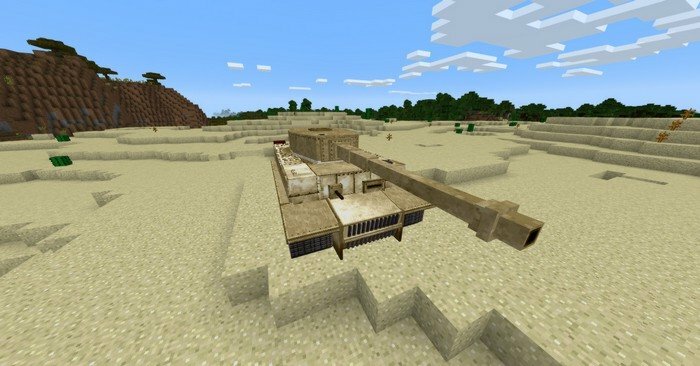 You can call your friend and arrange a kind of local version of World of Tanks in Minecraft. 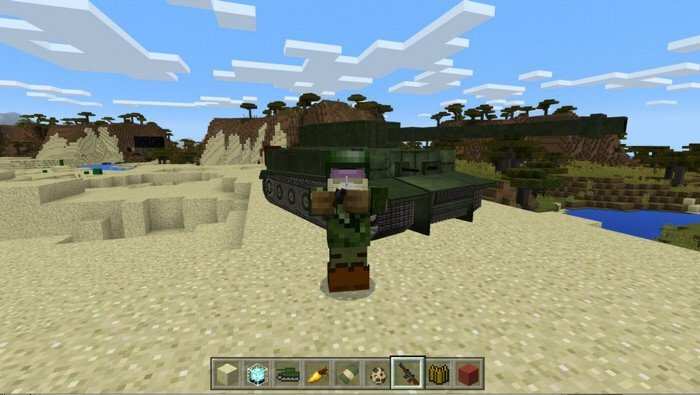 If you were looking for some fun - try Tanks mod for Minecraft PE 1.0.4 and don't forget to put on your helmet, unless you want to become a deaf. 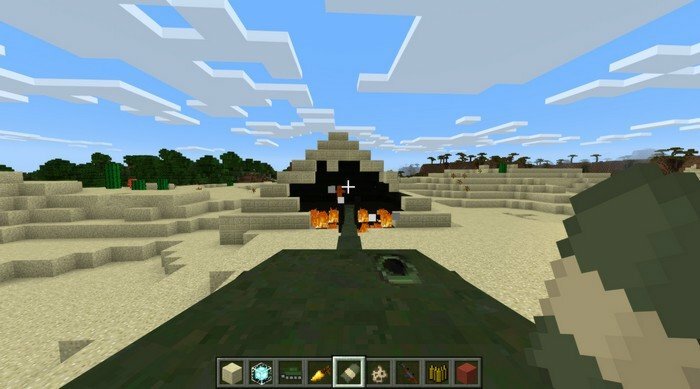 iOS / Android: Point to the center of the tank, long press and press "Drive"
Tank fires a powerful shells which can destroy almost any fortification, except obsidian because of its immunity to fire and explosions. It is a very big machine as you can see above, it is two times bigger than player and it makes the looks more realistic.